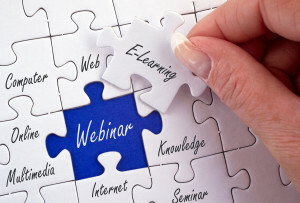 Are you already using webinars toÂ improve your audience? If the answer is yes, congratulations! Webinars are indeed an extraordinary solution, with many advantages. You can reach many customers from the comfort of your office, the costs are very limited and you can fully concentrate on your message. You can also record your webinars and propose them at a later time to your audience, as an effective marketing weapon for your business. But how can you get the complete interest of the participants? With so many distractions out there, it’s easy for them to divert the attention to their emails, or social media accounts, or anything else on the web. Here is a list of suggestions, with 7 key steps (and targeted tips) to use in your next webinar, and make it an amazing event! Learn to make good use of the technology. First of all, you have to opt for a good service provider. I useÂ this webinar platformÂ because it’sÂ easy to understand and reallyÂ intuitive, plus, I like theÂ interactivity tools (chat and polling). After the software choice, be sure to learn how to properly use it, because your ease (or your embarrassment) during the event will make you feel like a professional (or an amateur). So be sure toÂ use the right tools! Tip:Â at the beginning of the webinar ask your participants, if everything (video, audio, chat, etc.) is fine. Think in advance about the rules of your webinar. For example, when the event is started, people (also stimulated by you) may begin to chat and could continue to do so during the webinar. This is good but just until a certain point, because it can be really distracting. Or else, you might have a participant who asks you a strange or embarrassing question. Therefore, after the initial pleasantries, it is better to suggest a stop to the conversation, saying that there will be a special section for questions and answers. List the activities of the webinar clearly. Also announce that the event will be recorded so that all participants, especially those who leave before the end, will be able to access the webinar at a later time. Tip:Â during the webinar, you can ask the support of a moderator, who will be in charge to reiterate the guidelines, writing down the rules or respond, on your behalf, to any technical questions of your participants (like help requests, for example). – why are you running this webinar? – what do you want the participants to do? – do you want them to purchases a product or a service? Be as specific as possible and think about the structure of your webinar in order to to accomplish this. Of course, taking into account that you must give value to those who participate. Tip:Â entertain your listeners, from time to time, using humor! Think yourself as an expert in your field. Therefore, your opinion must be authoritative. Sharing your knowledge should give a real value to your listeners. They would not miss any of your words, because of your experience, studies and qualification in the webinar topic. So be prepared to share tips, secrets, case studies, resources or any other useful information. This is an awesomeÂ post at HubSpotÂ on how to create a great event. Tip:Â find someone who can help you during the webinar, also presenting you in the beginning, as an expert on the subject. You must care about two important aspects. How to catch the attention of the listeners? Do you want that those who participate do something specific? Then structure your webinar with an opening (to catch the attention), a body (which explains, convinces and captivates) and a conclusion (which contains the call to action). Also help yourself with a pattern, a mind map or whatever you want to keep track of the program. You need to remember the most important messages! Also, plan even the smallest details.Â Establish the date and duration of your webinar and send the email invitation at least 2 weeks before the actual day. Three days before the event send a reminder that contains all the details needed to participate in the webinar. Tip:Â tell a personal story to capture and keep up the attention of your listeners. To captivate your audience, you ….